The first time I heard of John Green was when I watched an appearance he made, alongside Chris Colfer, at a breakfast at BookExpo America. From there, thinking he had a great sense of humour, I picked up The Fault in Our Stars, and fell in love while having my heart broken. It’s taken me a while to get round to reading his other work though, but after reading Paper Towns, I’m no less in love with Green’s work (and no more healed). Quentin Jacobsen has a night full of revenge and adventure with Margo Roth Spiegelman, the girl next door. The next day, she doesn’t turn up to school. As Quentin searches for her, he finds himself caught up in a mystery in which he learns as much about himself as he does the mysterious Margo. Paper Towns is a moving and funny book about growing up and about the difference between what you want to see, and what’s really there. 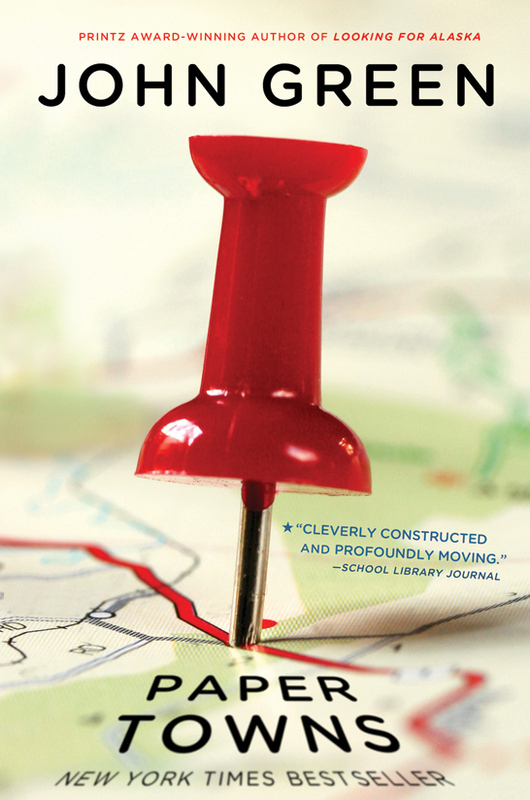 The brilliance of Paper Towns lies in the way that it’s not like any other book about teenagers I’ve read before – part mystery, part high school drama, part romance, part Catcher in the Rye, part Gone Girl, part Gossip Girl, the mash-up shouldn’t work, but it does. Protagonist Quentin has a great voice, which I could hear in my head before I’d even finished the first page. He made me laugh, he made me sad, and at times he made me want to shake some sense in to him. Quentin is a lead character who grows and changes and comes to various realisations through the novel, and you can’t help but love him every step of the way. The supporting cast is brilliant, particularly Quentin’s best friends Ben and Radar. Together, they’re like the Three Musketeers, only not as cool (my kind of people). Green also creates a believable high school world, with characters like jock Jase and bully Chuck. They’re stereotypes, but with Green’s touch turn into three-dimensional stereotypes. And then there’s Margo. Largely absent for much of the novel, Margo is more of an idea than anything else, which goes back to the title of the book (I’ll leave you to find out more about that). Margo is not at the centre of Paper Towns, the lack of Margo is. It’s an interesting concept, one visited in a different way by the aforementioned Gone Girl. Paper Towns is the kind of novel that makes you reflect (and want to read Walt Whitman), and the kind of novel that will stay with me for a long time. At least until I read my next Green novel, which will no doubt damage me a bit more damaged and make me fall in love a bit more.